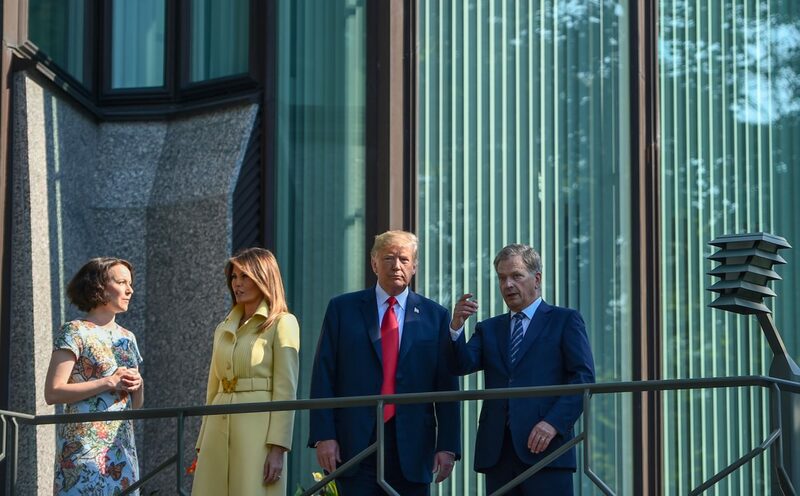 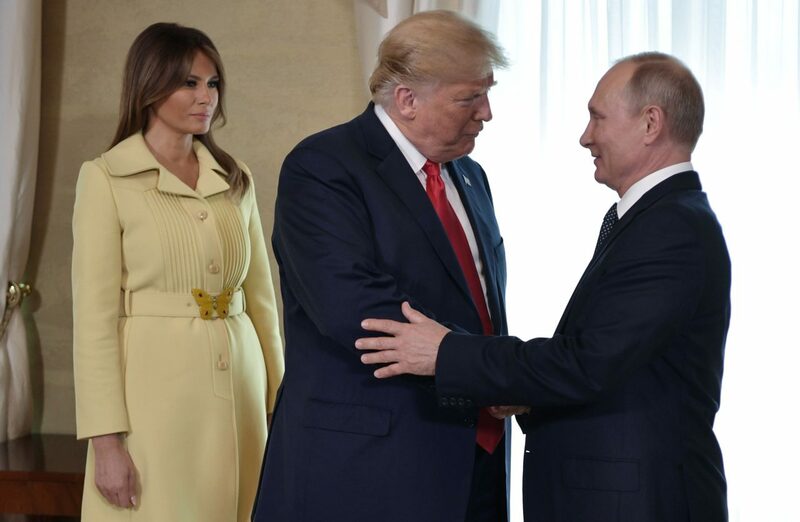 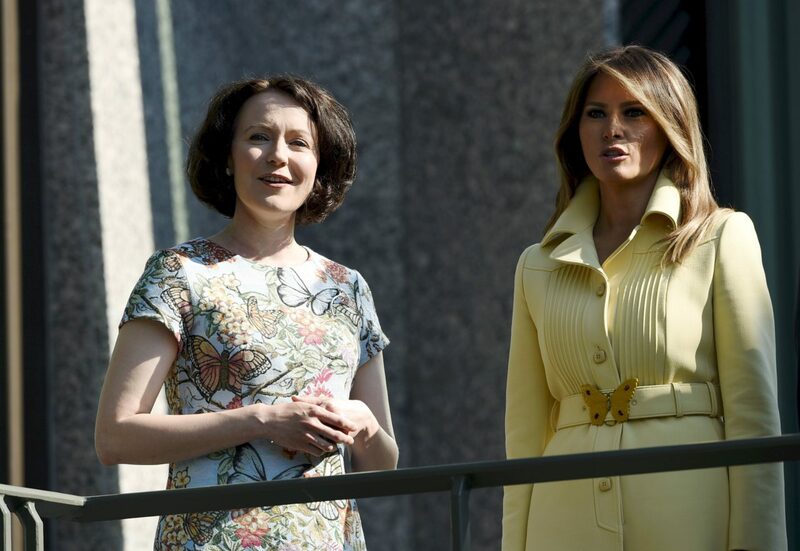 Mrs. Trump continued her ladylike, delicate international style for the Helsinki summit, wearing an off-the-runway, butterfly buckle notch collar coat from Gucci’s Resort 2018 collection. 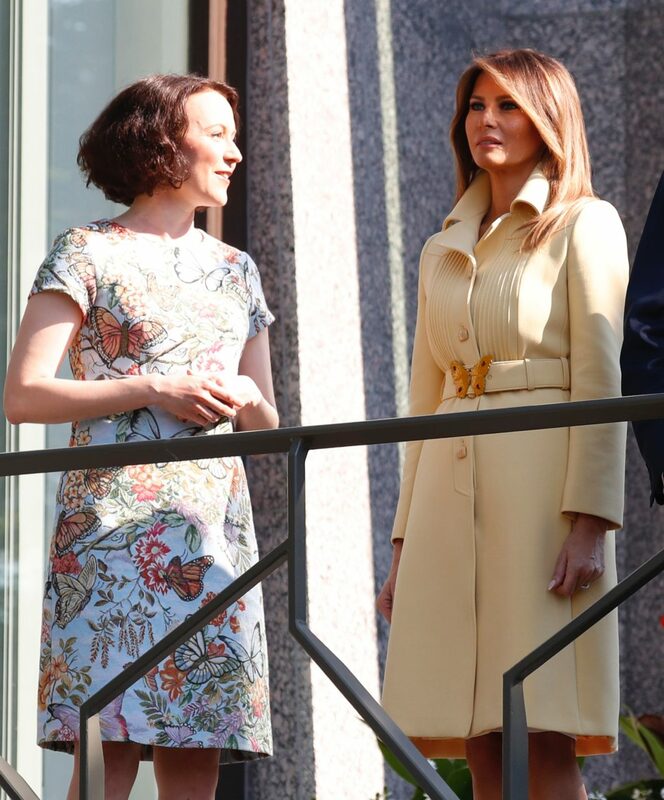 The coat retails for $3,700. 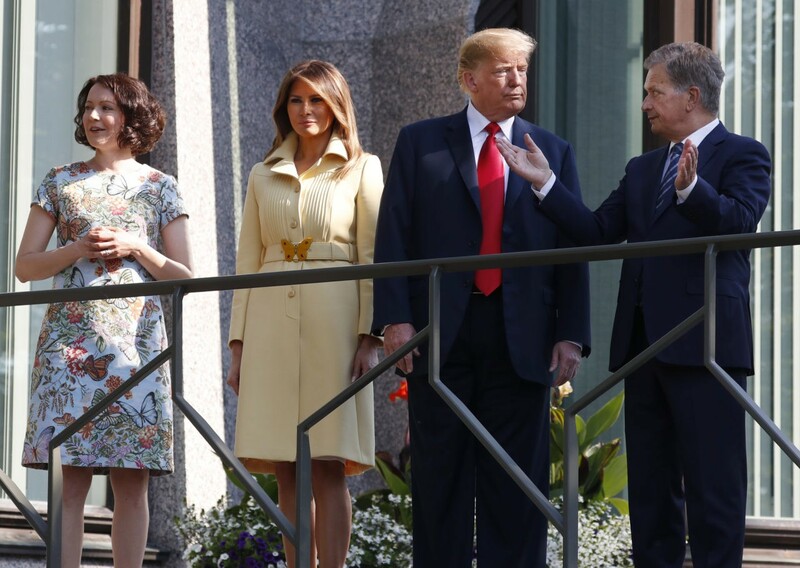 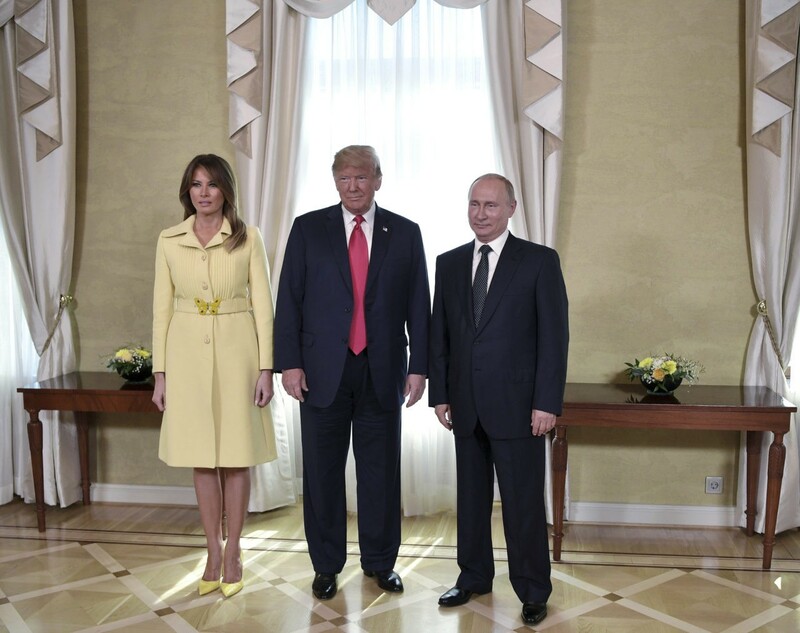 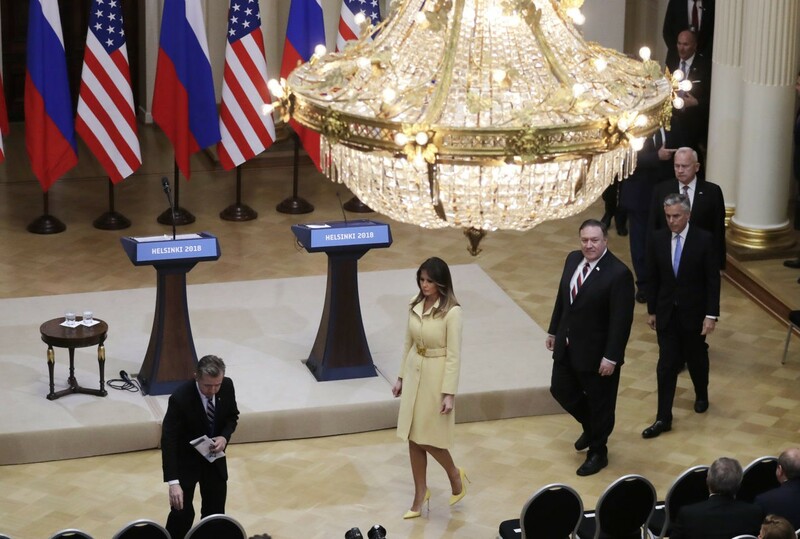 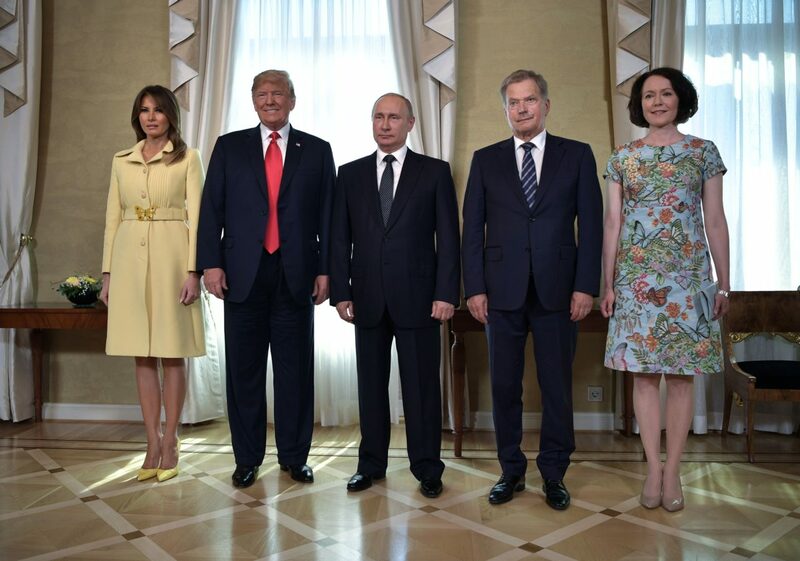 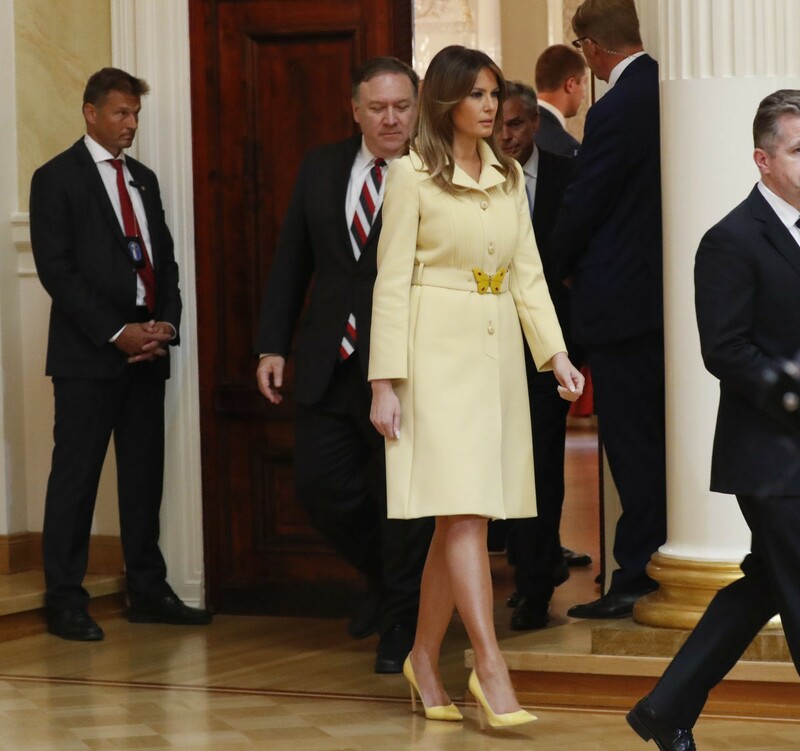 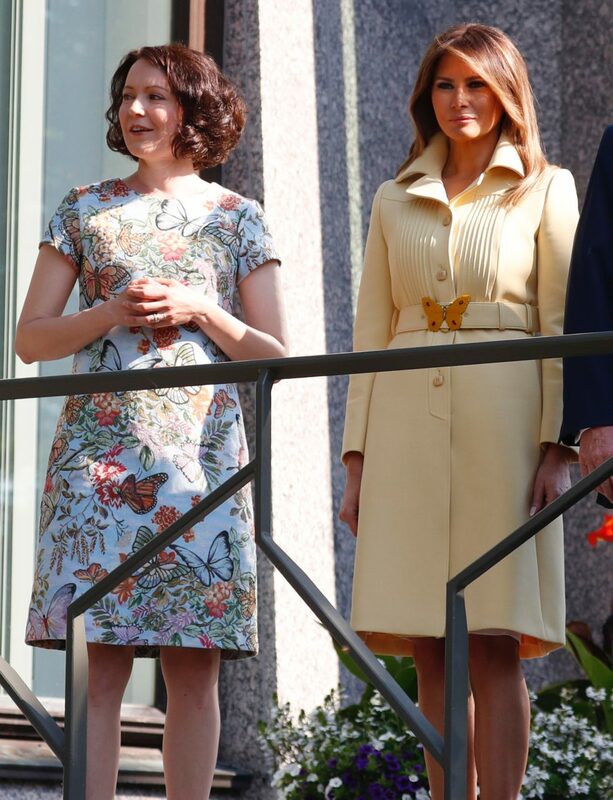 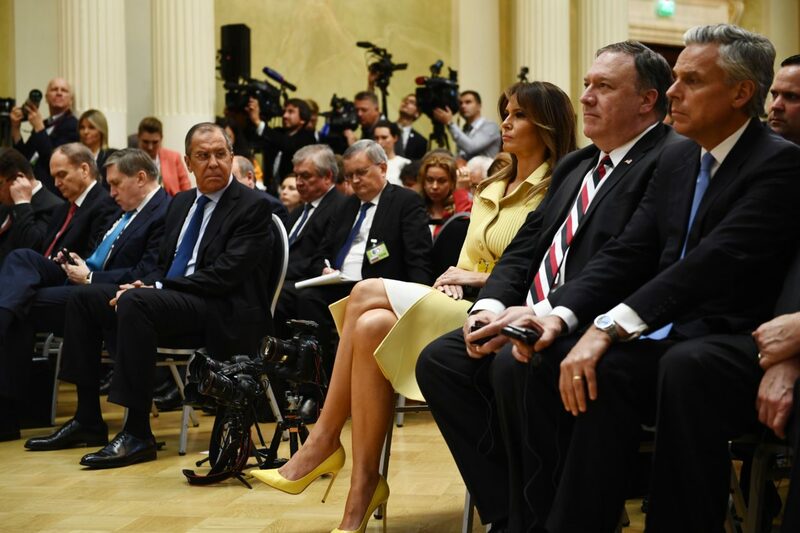 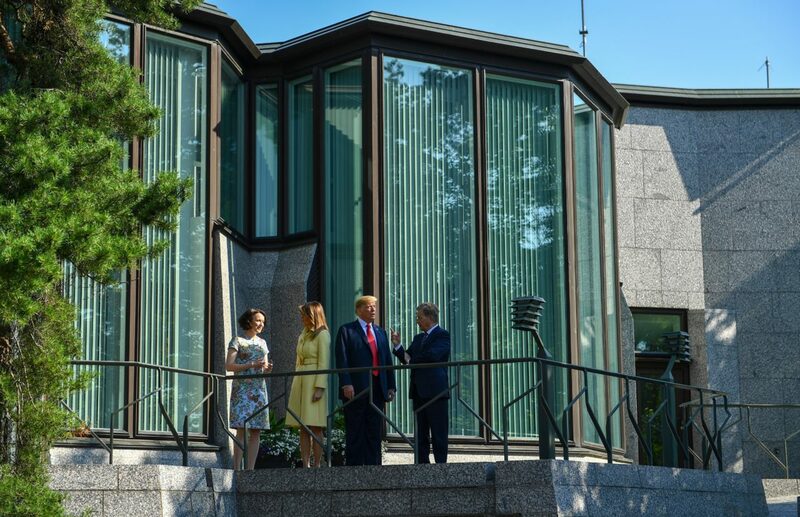 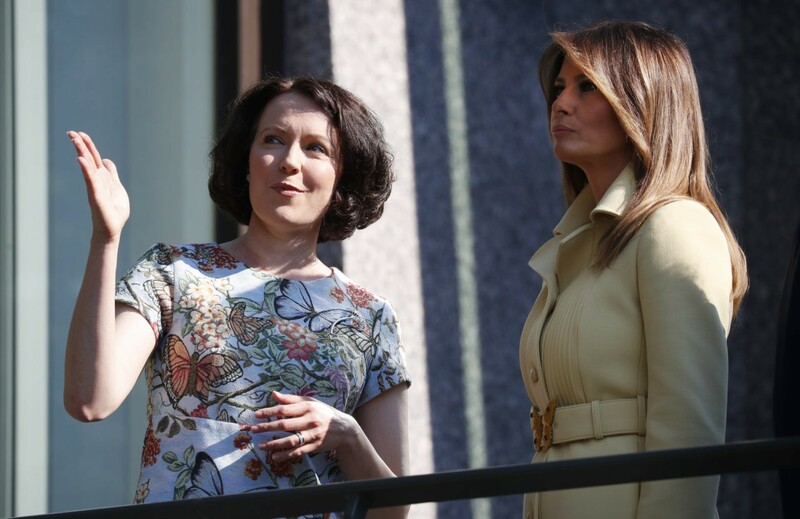 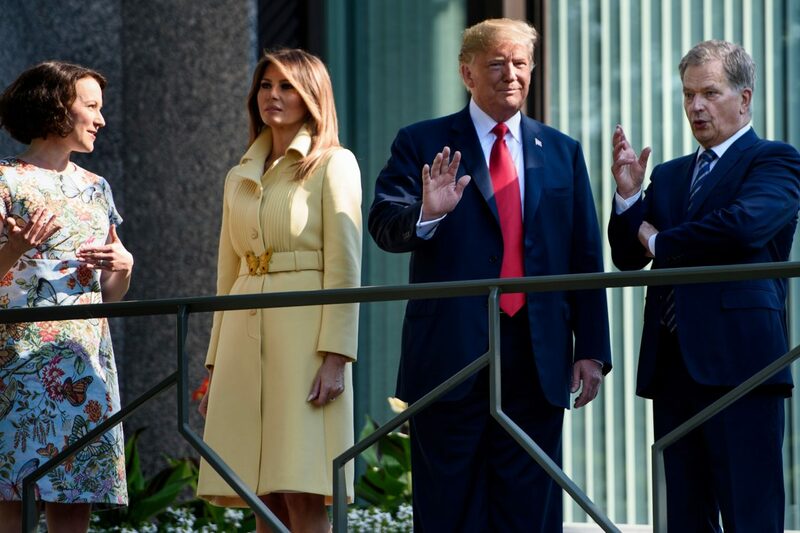 The mod pale yellow butterfly coat — which coordinated beautifully with Finland First Lady Jenni Haukio’s butterfly printed dress — was paired with Mrs. Trump’s favorite Manolo Blahnik suede stilettos in bright yellow. 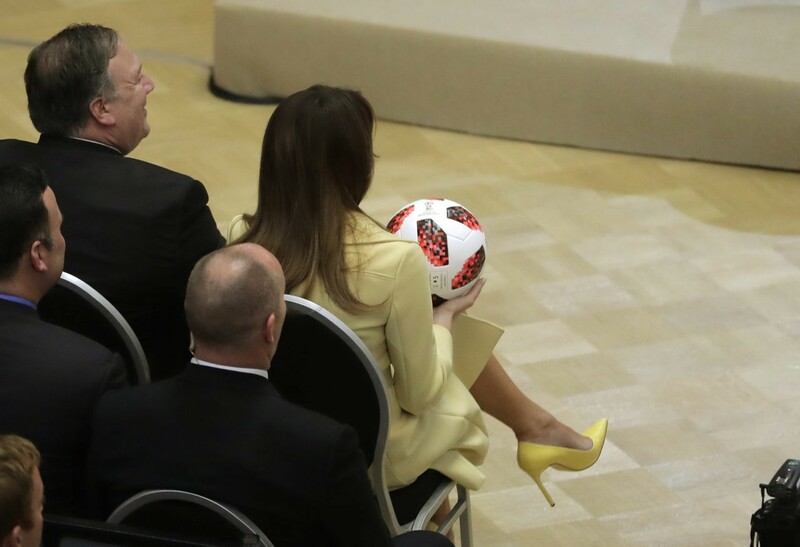 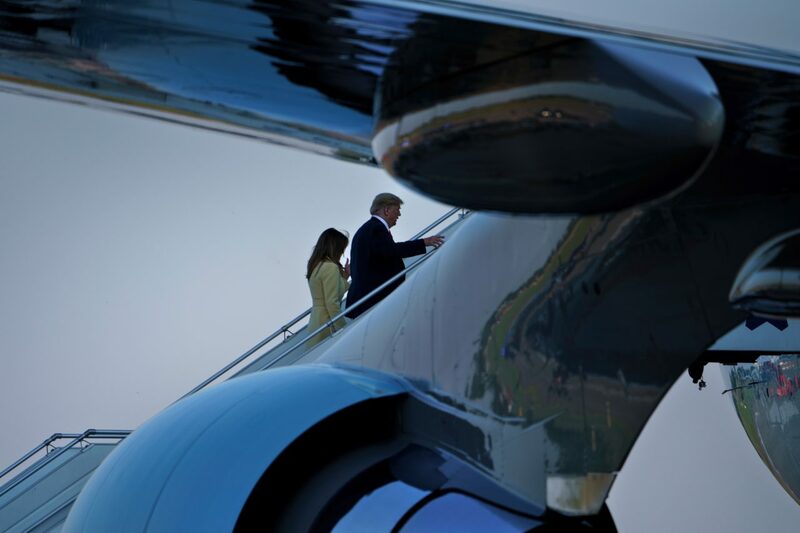 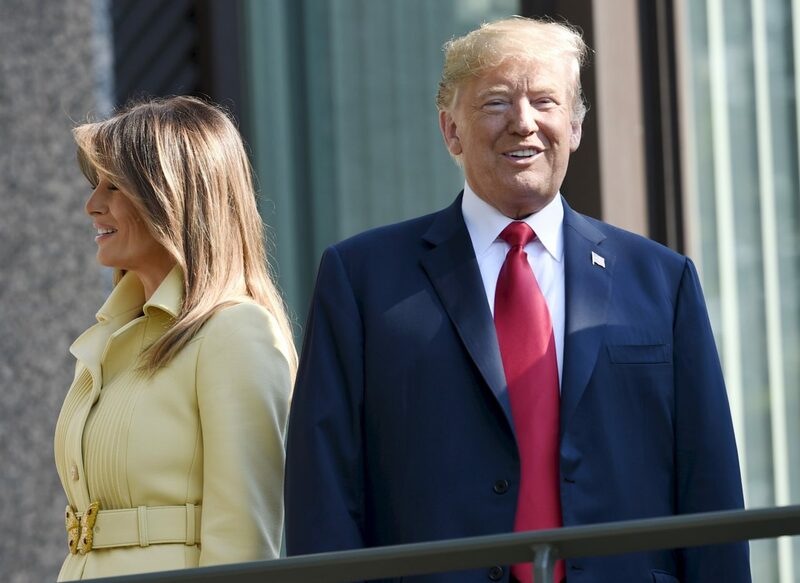 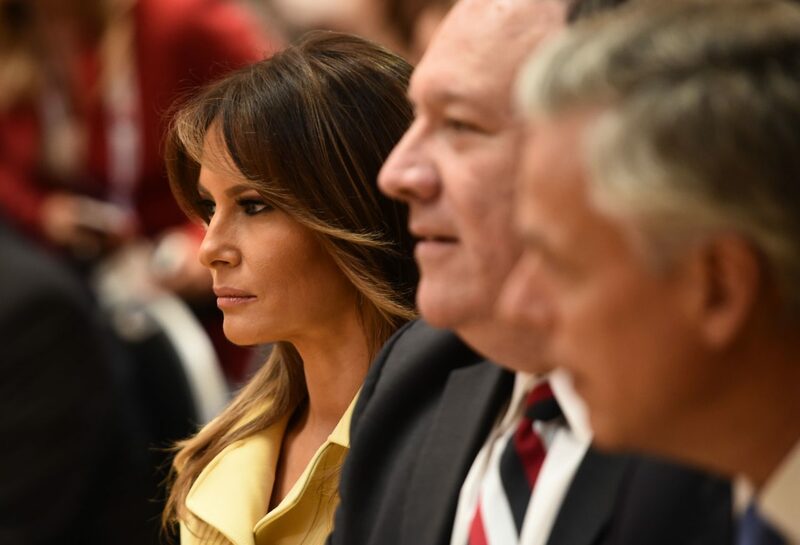 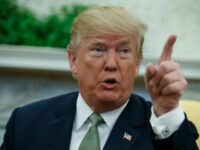 Mrs. Trump wore a similar shade of yellow on her international trip with the president for an evening dinner in London, England, where she stunned in a J. Mendel gown reminiscent of the Disney princess “Belle” from Beauty and Beast, as Breitbart News noted. 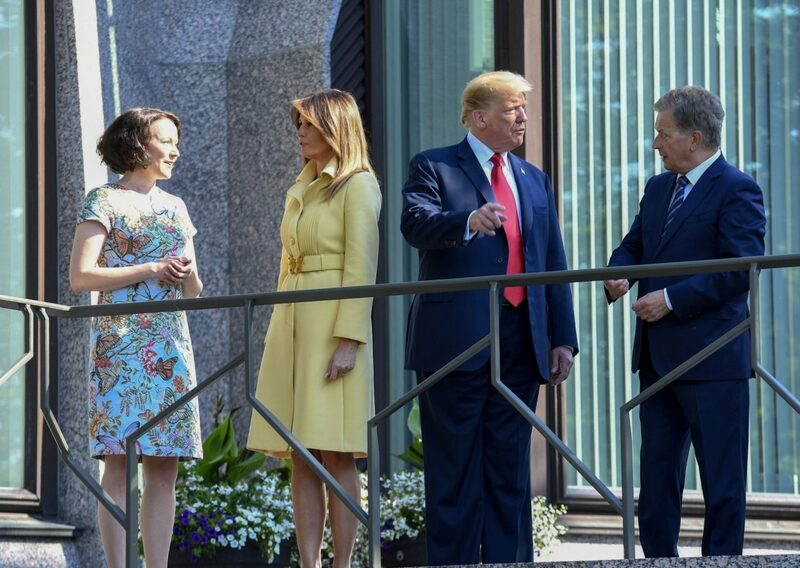 Enjoyed conversation w the First Lady of Finland today – good conversation about issues facing our nations. 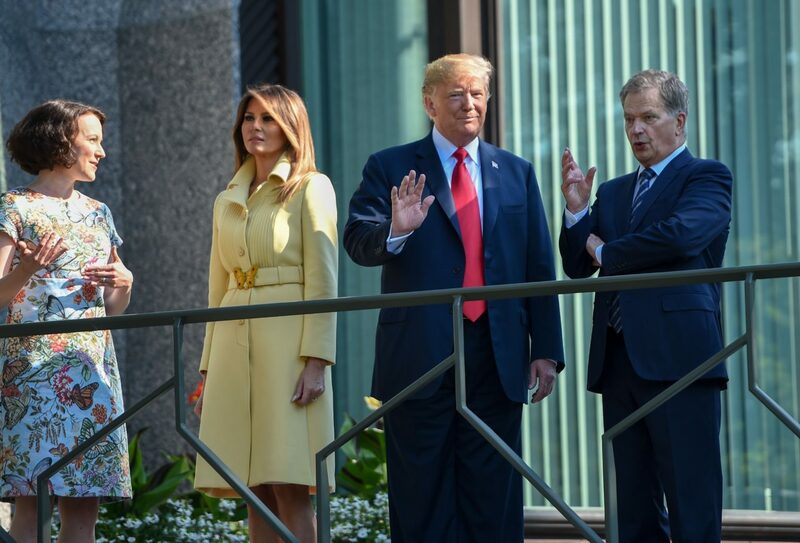 Thank you to Jenni Haukio for hosting me!